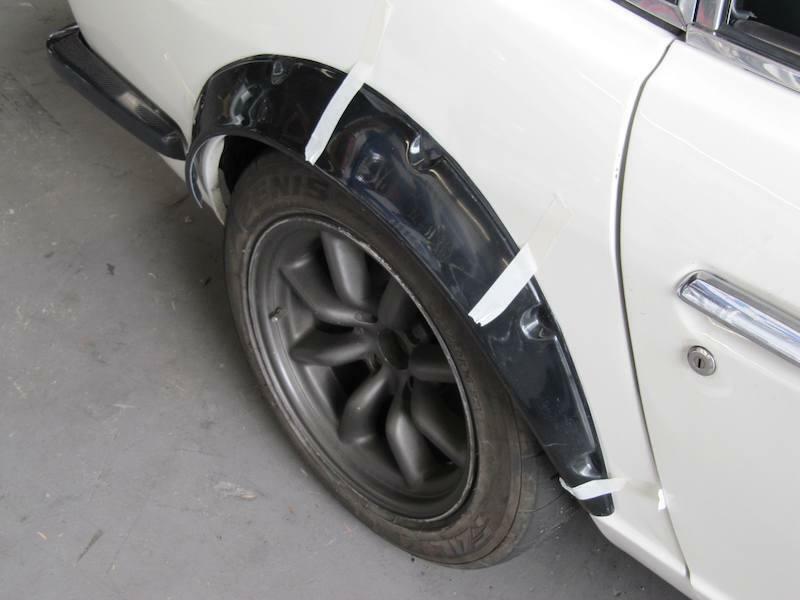 These rivet-on flares are reproductions of Nissan 240Z G flares. 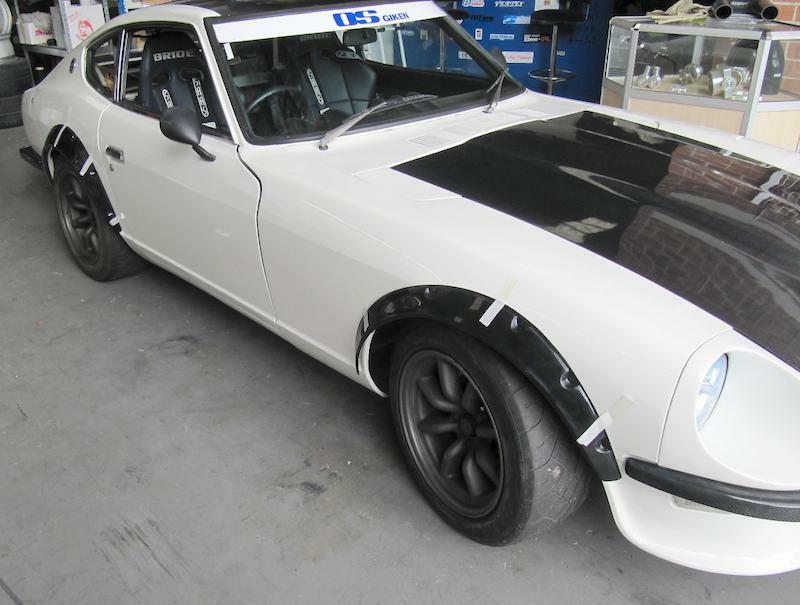 They are shaped to suit the 240Z/260Z body, but are flexible enough to suit many other cars too. 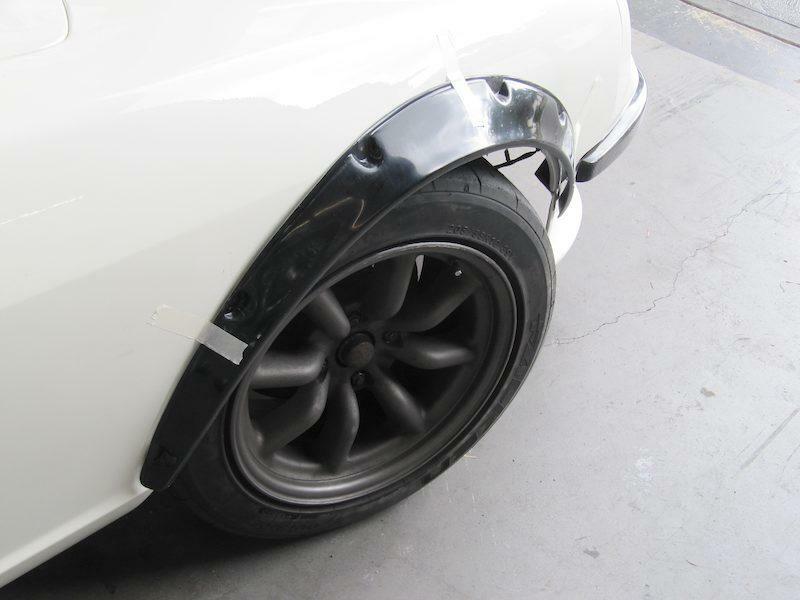 On a 240Z they add 40mm extra width front and rear (measuring from the outer edge of the flare to the outer edge of the factory guard). At the bottom of the flare the fronts are around 740mm (inside measurement) and the rears are around 790mm. hey! i was wondering do the AeroDesu 240zg fibraglass flares fit on a r32 gts-t? or do you have any other flares that would fit my r32? They won't fit perfectly, but I have seen them on R32s. They are reasonably flexible so when you screw them down they will bend to meet the panel.